Coppa is a tiny little French inspired cafe, located along congested Route 66 in Flagstaff. Despite the less than ideal noisy (and always busy) location along the highway, Coppa has a nice relaxing vibe, decent French food, and a nice local vibe, which is rare for Flagstaff. Coppa serves brunch, lunch, and dinner. Brunch is the best time to visit as you can take advantage of much lower prices and fewer crowds. In Flagstaff's busy restaurant scene, a more peaceful atmosphere is always appreciated! Dinner, in my opinion, is way too overpriced based on the minuscule serving sizes, lack of waiter service, and too casual setting. Brunch is definitely a better bang for your buck experience, although entrees are still overpriced for what you get. The Vegetable Gratin, served with a fresh green salad, is simply delicious: a good place to start if you are not sure what to order. The Chicken Ciabatta is another nice choice, although I recommend requesting light mustard as the sandwich was a bit drenched. Anyone with a sugar craving will want to try out a homemade French macaroon or pastry, along with a freshly brewed espresso drink. What a perfect way to end the meal! You definitely will not be full after your meal, so now is the time to treat yourself! Know in advance: the portions here are very small. While the food presentation is very nice, Coppa should consider either lowering their prices or offering more food. In all honestly, we were starving after our visit and went directly home to eat a proper meal. Service was alright, pleasant enough. Food did not take at all long to arrive, even on a Saturday morning. Coppa Cafe was definitely less crowded and cramped than many of the more popular downtown choices. The space inside Coppa is very small, although decently decorated despite the size limitations. Coppa is one of those restaurants where you order at the counter and a waiter brings out your food. The experience would have been much nicer and more elegant with full waiter service. 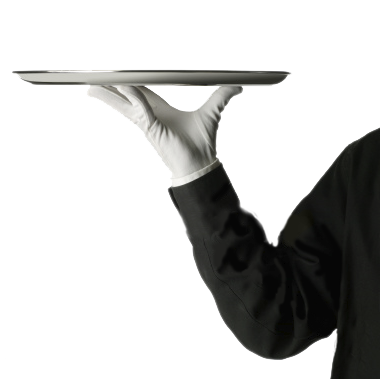 For the high pricing, full waiter service would have made more sense. Overall, the ambiance is cozy and quiet with nice decor and inoffensive music. Coppa Cafe is a decent choice for anyone craving a French meal or dessert. As it is the only French choice in town, it really is your only option. Despite the unattractive strip mall location, the decor and food is pleasant enough to justify a visit.